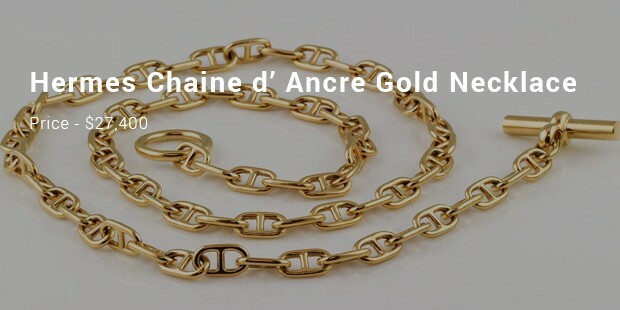 Hermes is an extremely well known and renowned brand in the world. 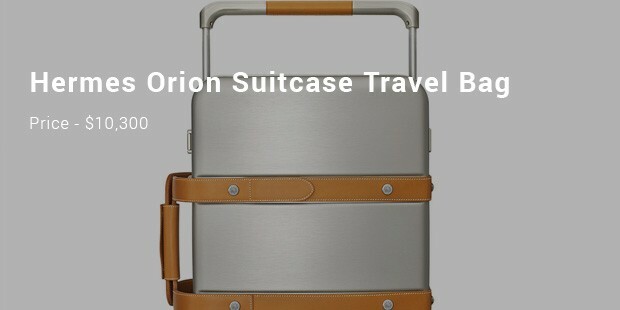 It is a symbol of select luxury fashion and outlay. Each of the products is of a particular kind are crafted by the same designer. Due to this meticulousness and detailing, each product at least takes 24 hours for completion. The Hermes products are not produced in line in the factories. They are crafted with precision, each being given the exclusive attention while in making! 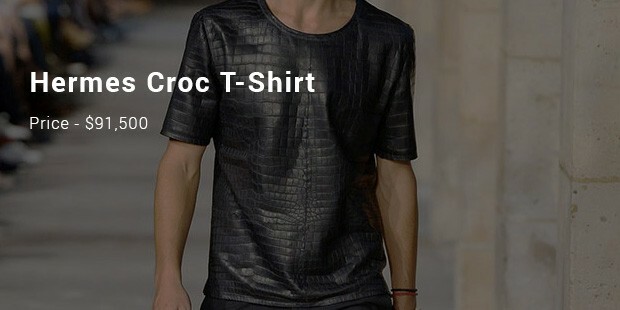 The products range from handbags to necklaces to suitcases and T-shirts! 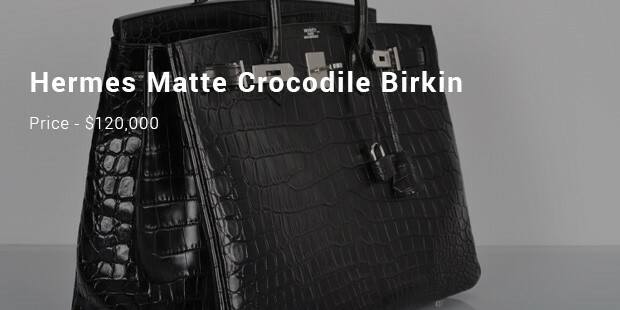 At the top of the list we have the most expensive Hermes product: The Hermes Birkin Tanaka Bag. 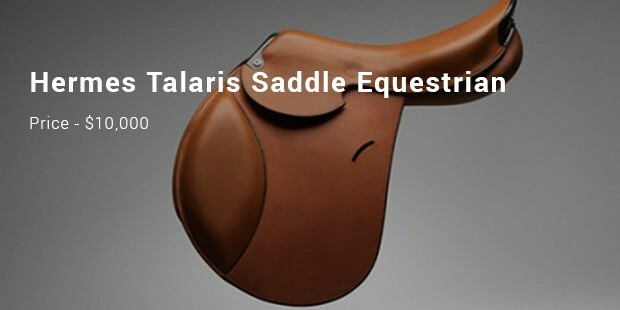 It comes with an excessively heavy price tag of 1.9 million dollars! 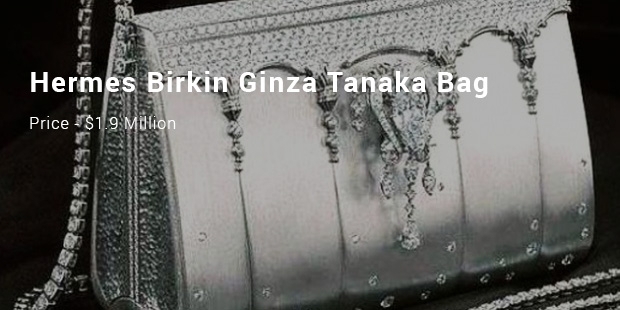 This bag is made of platinum and is encrusted with diamonds! 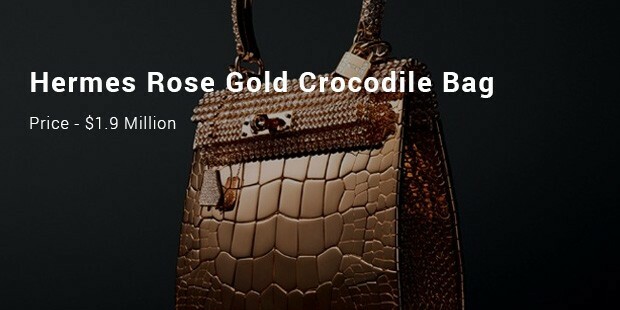 In the first place, besides the Hermes Birkin Tanaka Bag, we also have The Hermes Rose Gold and Diamond Crocodile Birkin bag which also costs 1.9 million dollars! It belongs to the Haute Bijouterie assembly. It is a limited edition! 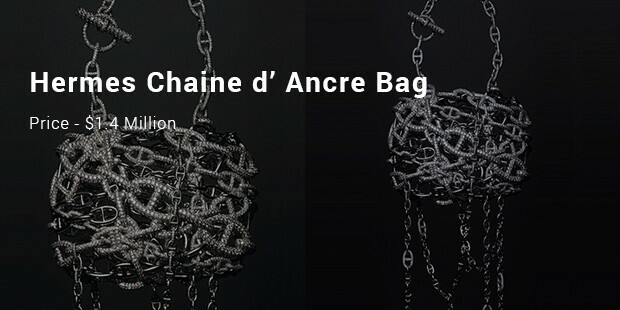 Prized at 1.4 million dollars, Hermes Chaine d’ Ancre bag is in third place. It contains numerous white gold studs cleverly engaged all over it. It is covered with 1,160 bits of diamonds, adding up to the staggering price! 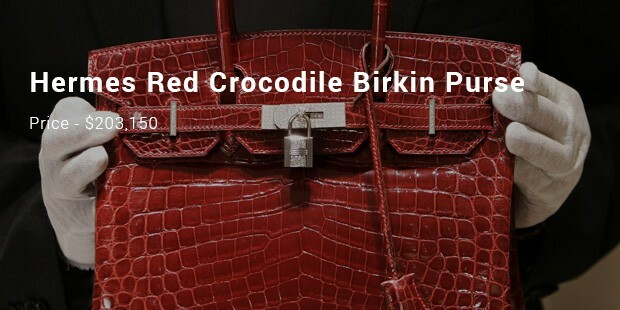 A tote bag, only 30 centimeters in length, the Hermes Red Crocodile Birkin Purse Bag, is a proud world record holder as the most lavish purse ever sold at a sale. Made of white gold and diamonds, it costs $203,150. These products are any one’s lust-haves if not must-haves! Women have a greater choice on this list than the men folk. But that actually makes the men luckier. These products can cause a real pain to you financially and may lead to bankruptcy!